Windows XP and Windows 8 Guides coming soon! This tutorial is for installing NDS Adapter Plus Software, Drivers, and Firmware on Windows Vista and Windows 7. You'll have to be a little tech-savy to get this up and running on your computer (or at least follow these instruction to the T). The NDS Adaptor Plus comes with a disc. Set the disc aside, because you won't need it when using this tutorial. Don't plug in or unplug the NDS Adapter Plus until specified in this guide. The first thing you'll need to do is tell your computer to run Unsigned Drivers. This process is very easy. All you'll need to do is reboot your computer and Press F8 to open the Advanced Boot Options page. Don't press the F8 key on the pre-boot screens about your Motherboard. Make sure to press the F8 Key right before the Windows Loading Screen. You should see a black screen with a white flashing cursor for a second or two. That's the time to press the F8 Key. 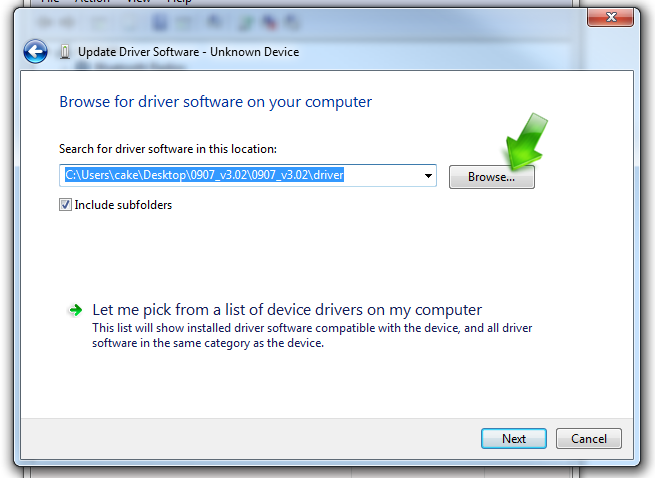 Using the keyboard, navigate to the option that says Disable Driver Signature Enforcement. You need to do this in order to install the Drivers and Firmware; and you'll also need to boot with this setting every time you want to use the NDS Adapter Plus Software. 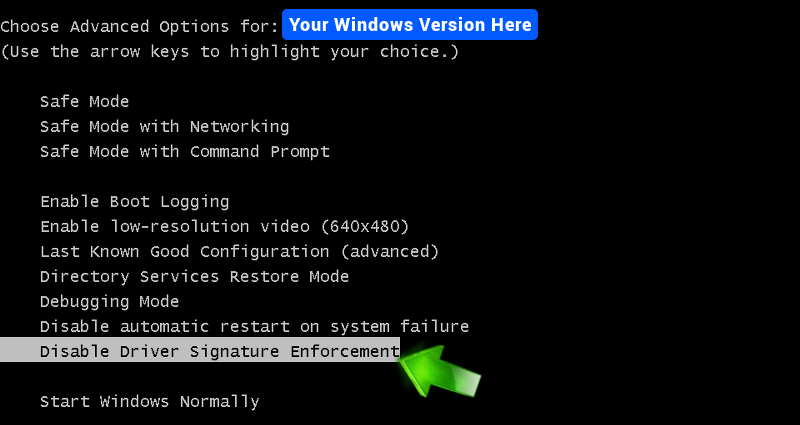 You can also reset and boot normally after using it if you want to have your Enforcement turned back on. Download the NDS Adapter Plus Software, Firmware, and Drivers. Save the ZIP FILE anywhere you like on your computer. Now, you'll need to extract all of the contents of this ZIP FILE. Make sure that you don't have a game attached to the NDS Adapter Plus Hardware. Now, insert the NDS Adapter Plus into a working USB port on your computer. Depending on your system settings, you maybe get a Pop Up menu or a little bubble icon in the system tray. Whatever opens when you plug this thing in; close it. 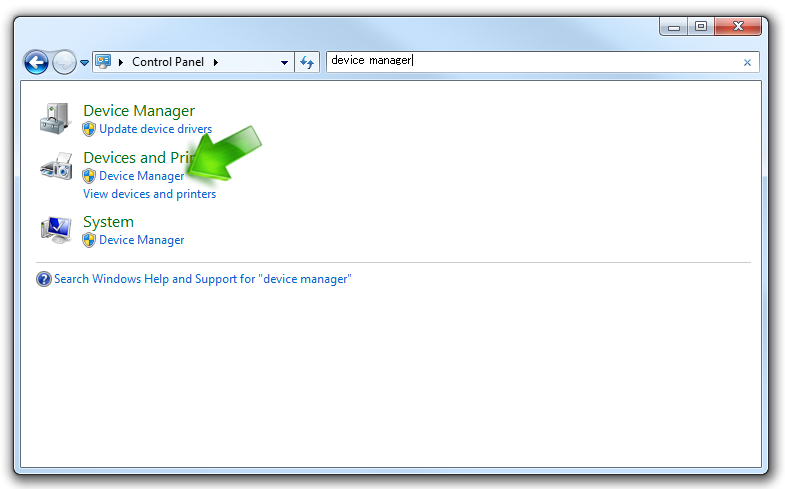 The next thing you need to do is access Window's Device Manager. The following images are for Windows 7, but it will be very similar in Vista. 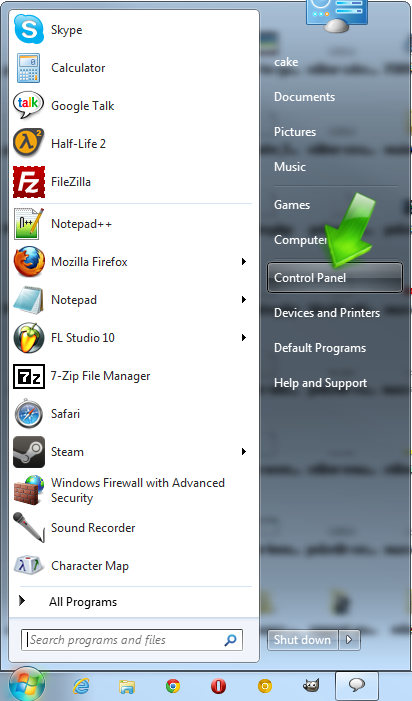 In the control panel window there should be a search box in the top, right-hand of the window. Type "Device Manger" into the search field. After that, click the device manager link in the search results. 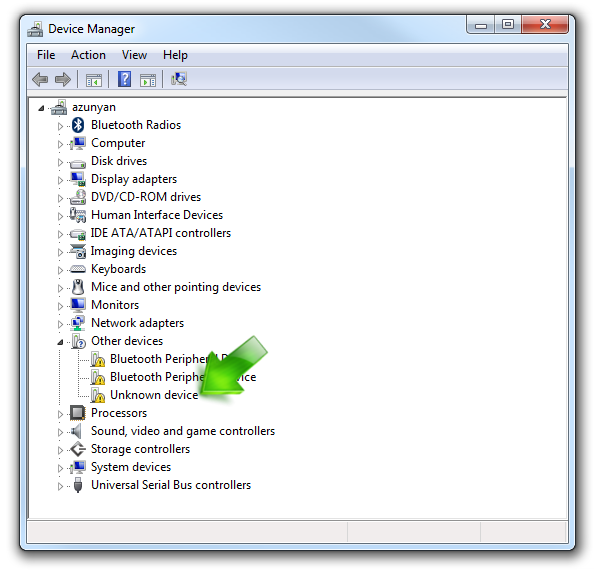 Since the drivers for the NDS Adapter Plus have not yet been installed (and you now have the device plugged in), you should see an "Unknown Device" under the "Other Devices" option. 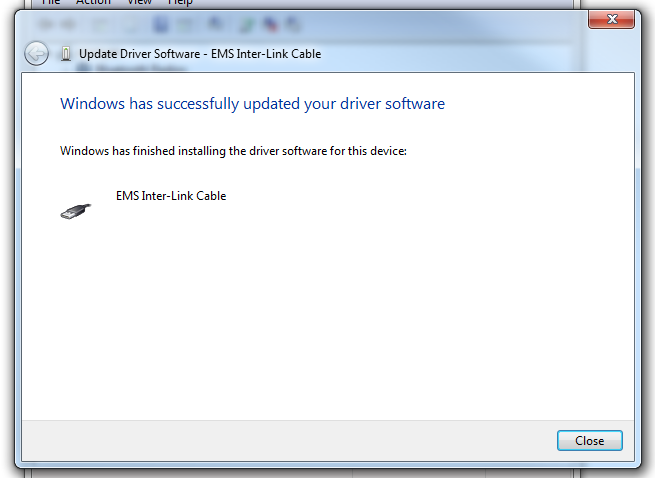 Right Click the "Unknown Device" and click the "Update Driver Software..." option. 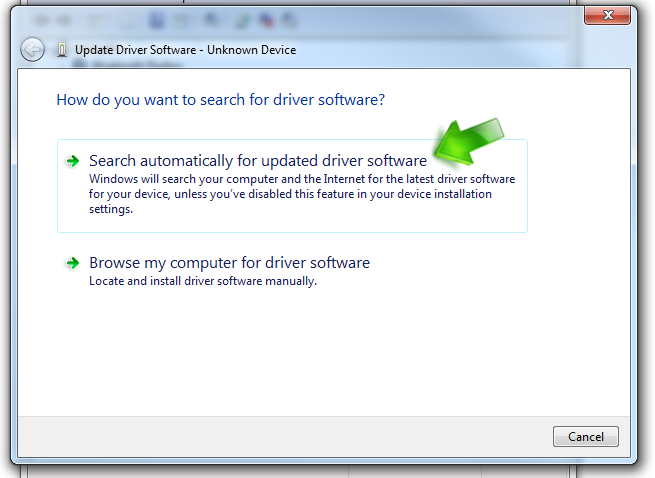 Next, click the "Search automatically for updated driver software option. Now you need to located the drivers. They are in the file that you downloaded earlier. From this next page, click the Browse button. 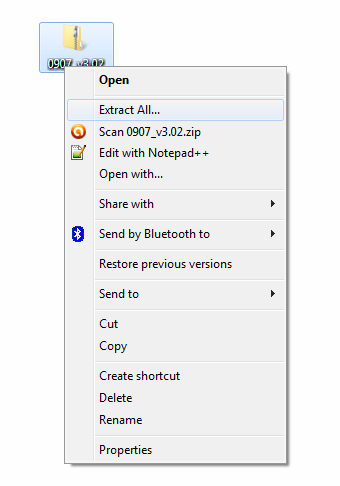 Navigate to the "0907_v3.02" file that you downloaded. In this example, it's on my desktop. But, you'll have to navigate to the directory that you put it. 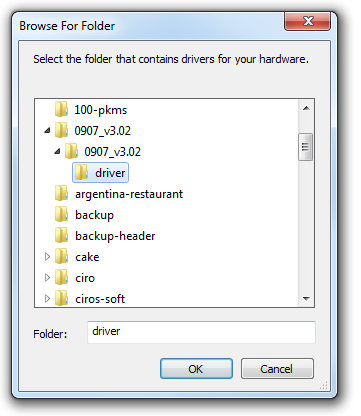 Once you find the directory, select the "driver" folder that's inside the main folder. Click "OK". Then, click the "Next Button". Now you're going to receive a little warning message from Windows. It can't verify the publisher, but we've already went over why that's the case. 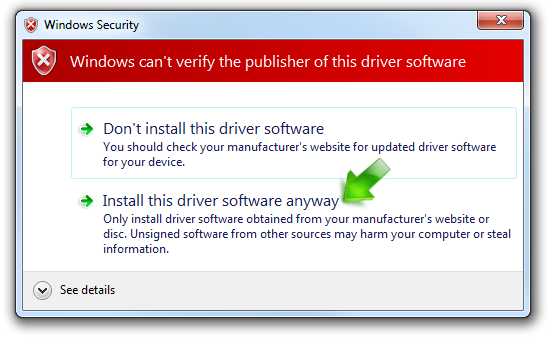 Click the "Install this driver software anyway" option. You'll then see the following message while the driver install on your computer. After the loading screen you should see the following page showing you that the driver has been successfully installed. Alright! So you've successfully installed the drivers. But, that's not quite the last step. In order for the NDS Adapter Plus to work with all NDS Pokemon games, you're going to have to update the firmware. So, don't remove the NDS Adapter Plus hardware yet! Now, navigate back to the directory that you have downloaded your software and firmware. Go into this folder. Inside this folder you'll find another folder with the same name. 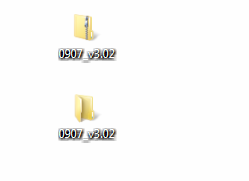 After entering that folder, you'll see a couple files. You need to open the "v3.02_upgrade" file. You're going to see the following screen once you double click on the upgrade file. Click the "Upgrade button to upgrade your firmware. You should see the follow menu when it finishes. Alight! Now you have successfully installed the NDS Adapter Plus Drivers and Firmware. Now, unplug the hardware from your USB port. Insert a game into the NDS Adapter Plus and plug it back in to your computer. 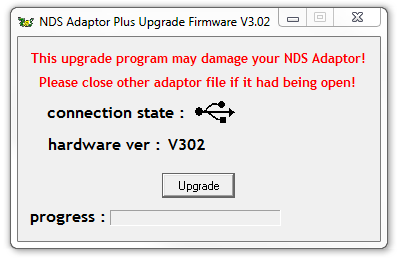 You can now click the "NDS_Adaptor_Plus_V3.02" file (which is inside the same directory as the firmware upgrade. This is the actual program. Plug the adapter back into your computer and open the program. You will then see the following menu. There are only two options in this program and they are pretty self explanatory. Every time you want to run this program you'll have to hit the F8 button during start up to Run Unsigned Drivers. 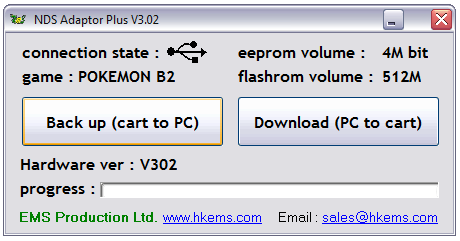 Besides that, you can use the program freely. Make sure to properly eject the hardware when you unplug it from your computer. If you want to load a file onto your game, you must first format/delete the current file on the game cart. You can do this by pressing "UP, SELECT, and B" on the "press start" menu in the game. I have a question, what format does NDSA+ port your save files as? I'm thinking about getting one with the soon coming Christmas money, and wanted to know.. specifically if they are run-able after importing? Yeah, as long as you have some way to play the .sav file on your computer. This guy makes a pretty nice looking recording device here. But, you need an old DS fatty to make the recording. Yeah, it really is a nice piece of hardware. I use it a lot actually! I've been searching for quite some time now on how to install the drivers, specifically for Windows 8(.1). I have all the files, have tried disabling the signature check, using the signature tool, copying the .sys files directly into System32, going through "Driver Update" via the control panel, but nothing is working. When I try and use the .inf file to install the system files after disabling the check nothing happens. If I go through the control panel all I get is "There are no drivers in this folder compatible with you device". You mentioned, Cake, that you were working on a Windows 8 install. Any more information on that? Just installed this device, Cake. Thanks for helping me out with this. Is it possible to use this software with a Datel PowerSave as the DS - USB Interface?